These Images are Super Magnified; that is why they seem blurry. 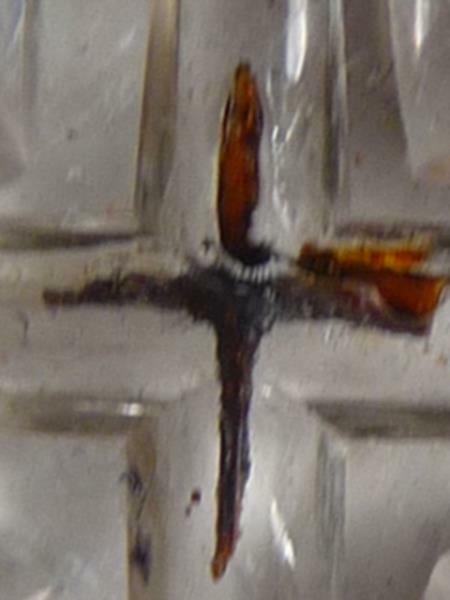 These Miraculously Powerful Images, all came from the True Cross Relic 'the Splinter' , the Wood of the True Cross of Jesus. 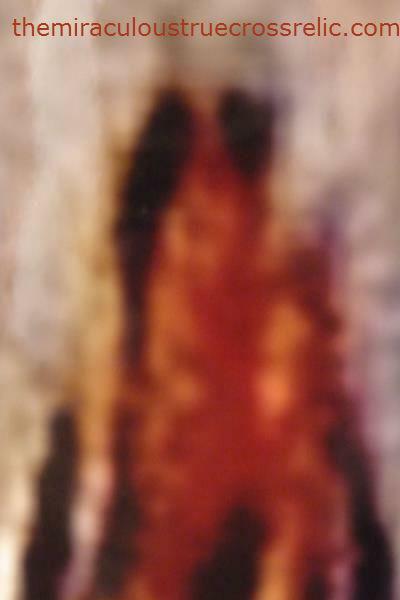 Only the Shroud isn't from the cross, but very much resembles the image from the True Cross; when placed side by side. 1 Samuel 17:54 and David took the head of Goliath the Philistine, and brought it to Jerusalem; but he put his armour in his tent. Matthew 27:33 And when they were come unto a place called Golgotha, that is to say, a place of a skull, (AKJV). All photographs appearing on this site has Copyright protection. They are protected by U.S. Copyright Laws, and are not to be downloaded or reproduced in any way without the written permission of JOSE SOTO: the webmaster.